Great gluten free finds in the centre of London! 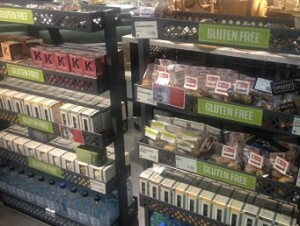 Whole Foods Market in Piccadilly is great for a Coeliac visiting London, or if you are working in London and need some gluten free things to grab after work. 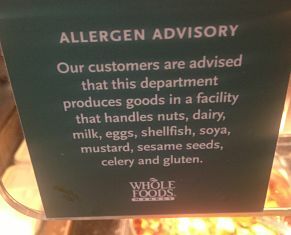 The big chain supermarkets in central London are very small so usually do not have the space for a ‘free from’ aisle’, so Whole Foods Market is your saviour! 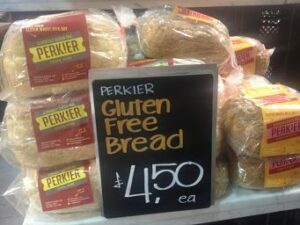 You need to look around the whole store to find the gluten free foods as they are spread around different areas, according to their category (eg bread, crisps etc), although there was a stand near the hot food area that had most of the sweet gluten free biscuits on their own. 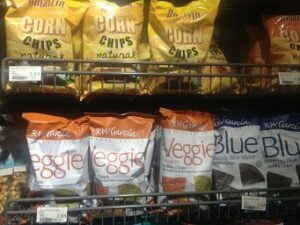 The freezer section needs to get a special mention as it has the best range of gluten free frozen foods I have ever seen! 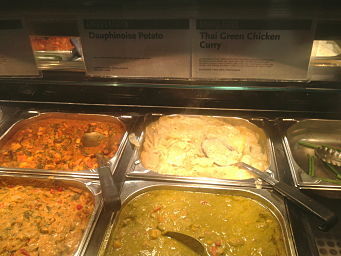 There was a great variety of Amy’s Kitchen ready meals (I didn’t know they did pizza!) plus specialist items like pastry. You will be able to find stock cubes (Kallo), cereals (Dove’s Farm, Nature’s Path), a very good range of Orgran pastas, rice cakes, cake mixes etc. There are also products like dairy free cheese and egg free mayonnaise if you have additional dietary requirements. The only thing I couldn’t find were cheese crackers (although you could use rice cakes, but I like Mrs Crimbles cheese crackers!). In the fridge section, you will also find Dell’Ugo fresh pastas and NO.G quiches/pies. 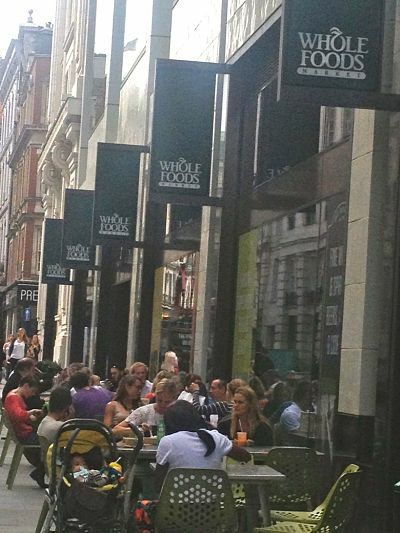 There are several other Whole Foods Stores in London, as well as in Glasgow and Cheltenham. Note: Prices will be higher due to the location of some of these stores, so please bear that in mind before filling your basket with non-essentials! For example, Nature’s Own Mesa Sunrise cereal was £3.69 at the Piccadilly store compared to the £3.25 I pay at my local Sainsbury’s (2013 prices).